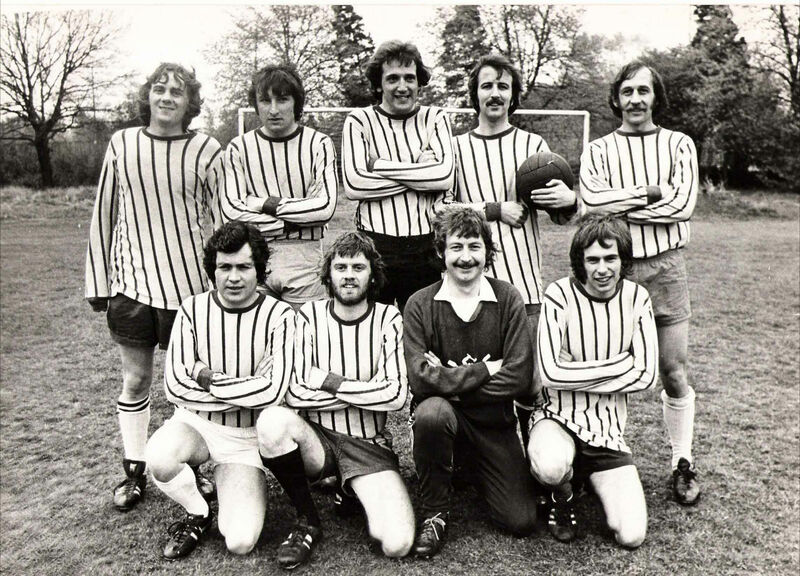 Thanks to Annie Gumbley-Williams for making this Radio Birmingham football team photo available. 2nd from left, back row,Jim Rosenthal (ITV Sport), fourth from left is Denis Mcshane went on to become an MP, top right, Rick Thompson, Head of Regional Programmes, Midlands and Head of 9 O Clock News. Bottom row, 1st left, Stuart Woodcock(? ), 2nd left, Duncan Gibbons, third from left Roger Moody (early sports producer Radio B’ham went onto a satellite company afterwards), far right, Nick Owen. Duncan Gibbons became a screenwriter in Hollywood. He died in the first high profile forest fires in California, a good few years ago, attempting to rescue his cat. I think the photo dates from the mid 1970’s. If you can add information, or identify more of the players, please add a comment. 2nd from left, back row,Jim Rosenthal (ITV Sport), bottom row, 1st left, Stuart Woodcock(? ), 2nd left, bottom row, Duncan Gibbons, far right, bottom row, Nick Owen.